Crown-tipped pyramid foam - polyurethane flexible foam in pyramid form in the measurements = 56 x 56 x 6 cm. The newly developed high-performance pyramids. 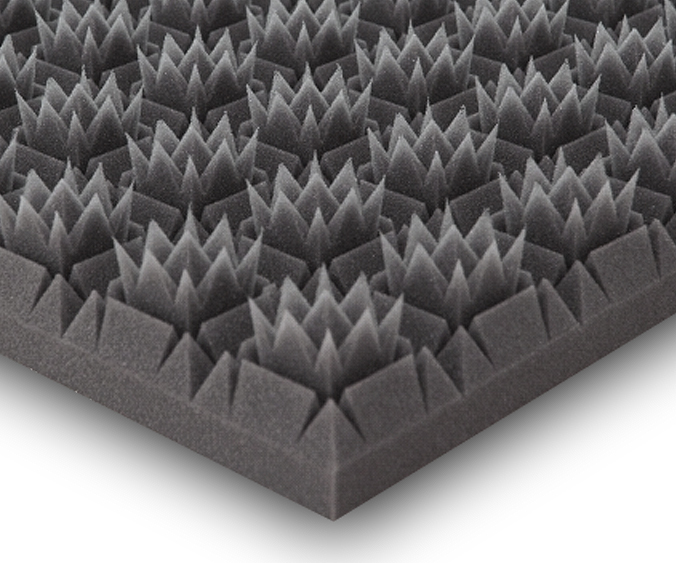 The crown-tipped pyramid foam is a high-quality sound absorption material on a polyurethane flexible foam basis. It offers broadband sound absorption across a wide frequency range (porous absorbers). Thanks to the optimised flow resistance and its structured surface, this sound protection product combines excellent sound absorption properties with an attractive appearance.